Do you know that one of the beauty of an artwork is the additional makeup? What I am talking about is the frame used on an artwork. 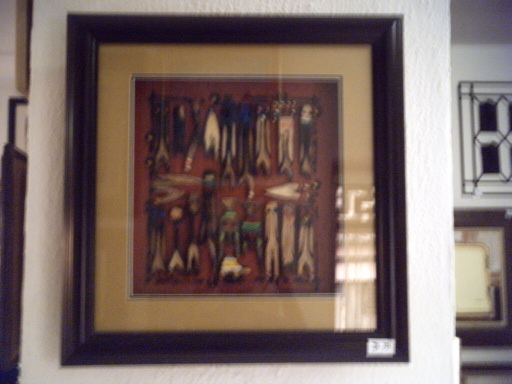 Like Alex Nwoloko, an artist said to me on the day of his maiden edition of miniature artfair, 'frames are like clothes, they bring out the beauty.' And he was right. 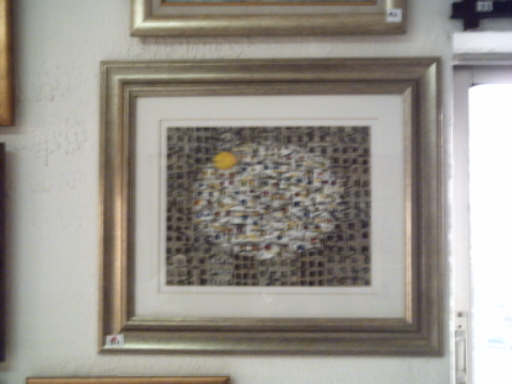 Frames help to define the tone of the painting and helps to bring out its beauty. 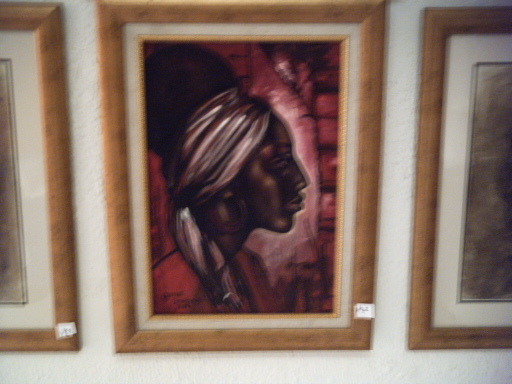 An Alex Nwokolo work. Paper collage is how it is described. Alex Nwokolo is a framer. According to him, because no has done an exhibition like this, he decided to give it a shot. All the works were miniature. 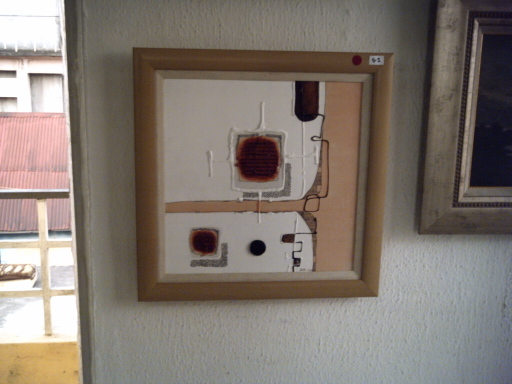 From mixed media to etching, sculptures, paper collage, acrylic etc. This here is a work done by Ndidi Dike on leather. She used wood and wooden fibres to do magic. From all his works at the gallery, I wouldn't be wrong to say that Oliver Enwonwu is taken with women, because paintings like this one were much. What's more, he likes this deep colour. The show is on till December 3. If you go, you will come out with a nice piece of work. They are small and lovely and affordable. Address is Framemaster, 13, King George V Road, Onikan. Not far from Race Course.